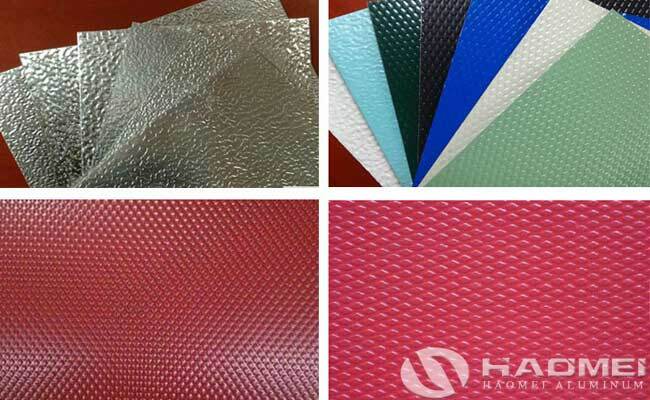 Color coated stucco aluminum plate also called as color coated embossed aluminum plate, the common seen embossed patterns on the surface are orange peel and rhombus/diamond pattern, the surface coating are fluorocarbon and polyester paint, the paint has various colors like white, black, red, green, blue, gray, yellow, gold and so on. 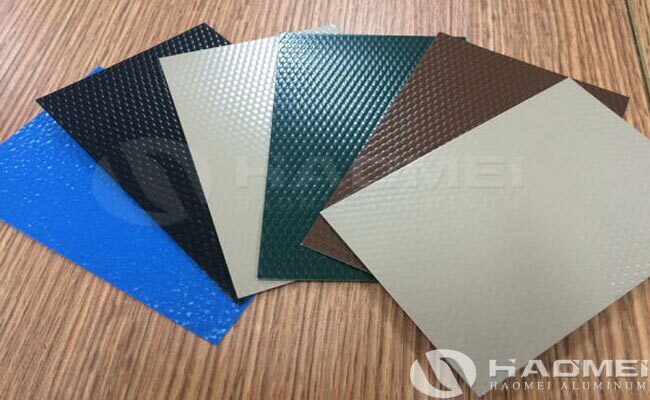 Color coated stucco embossed aluminum plate are widely used in the fields of roofing, wine cabinet, solar panel, decorative aluminium product, lighting fixture, lighting box, sanitizer, kitchen cabinet and central air conditioning system. Color coated stucco aluminum plate is suitable for ceiling systems and outdoor curtain wall systems in commercial buildings due to its light weight, thermal insulation and weather resistance.